Paving Width: 4.5 Mtrs. to 6 Mtrs. 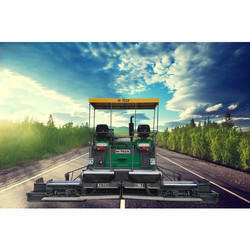 We are deal in the Apollo, Shitla, Himalaya, Mas, Siddharth..etc company made Road Paver finisher Machine & spares also. Concrete road paver machine never before never ever price in demand & usages for Highway, Airport, Racing roads minimum road width of 3500 mm and with range of 3500, 5500, 7000 & 9000mm supply backed with essential spares and service.